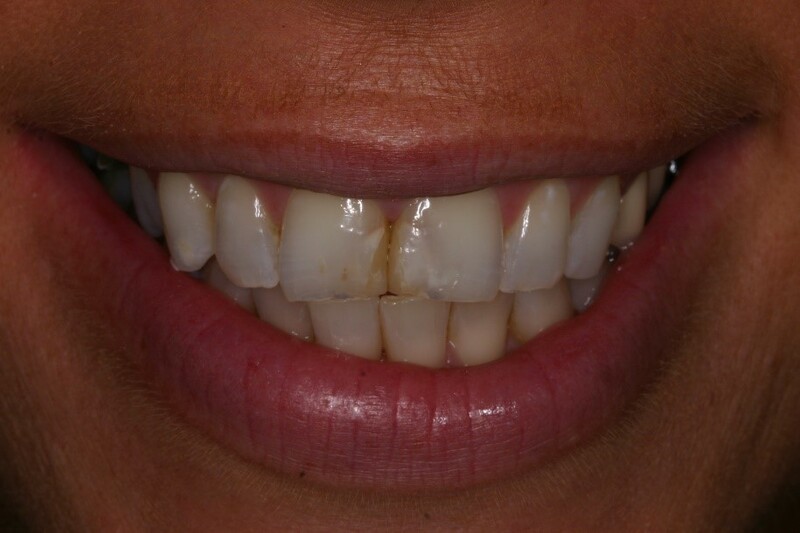 Carolyn had discoloured and chipped front teeth. 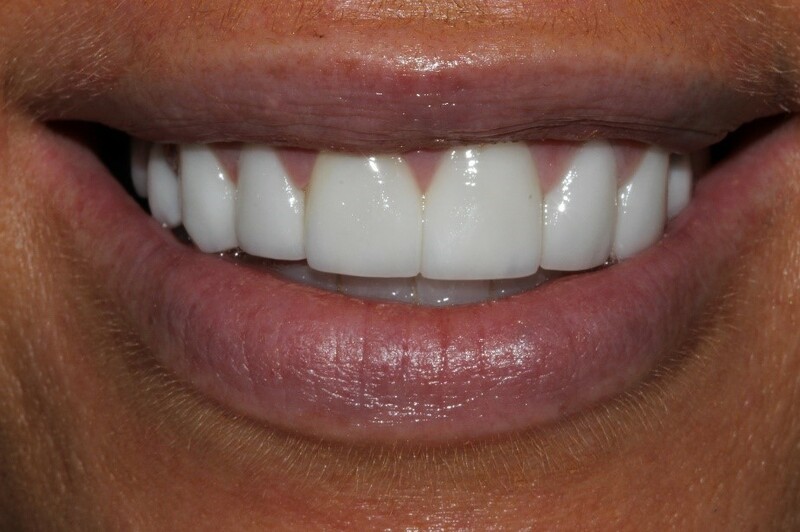 She wanted the perfect white smile so we placed a combination of both crowns and veneers, and moved her lower teeth back with a brace to give a better bite profile. Carolyn loves her super-white smile!